The RECSI Expo Seminar will introduce and discuss Zero Net Energy (ZNE) fundamentals and practices. How does ZNE impact energy use and building performance? How do we meet the energy needs of a building? A panel of local design, utility, and construction professionals will discuss ZNE after the seminar. Admission is FREE and registration is not required. Food and beverages will be provided. 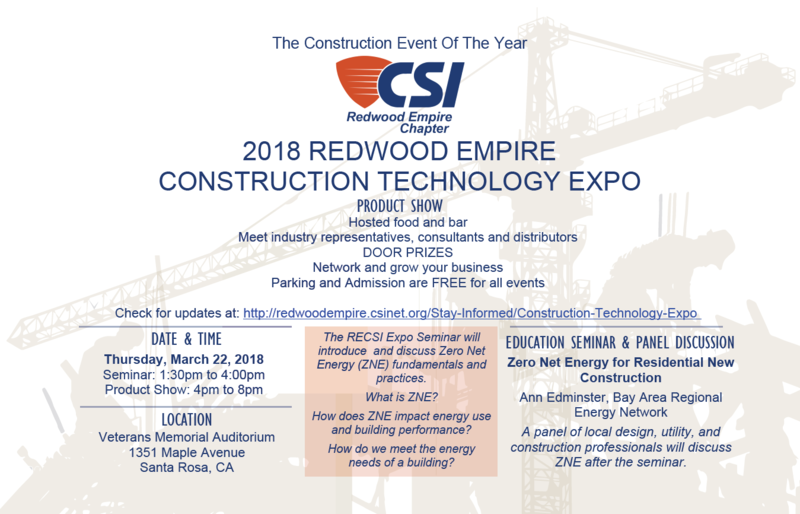 More information is available on the CSI Redwood Empire Chapter website.